Task: to develop a corporate identity for an investment fund. Ladoga Management specializes in investments in the petrochemical industry. 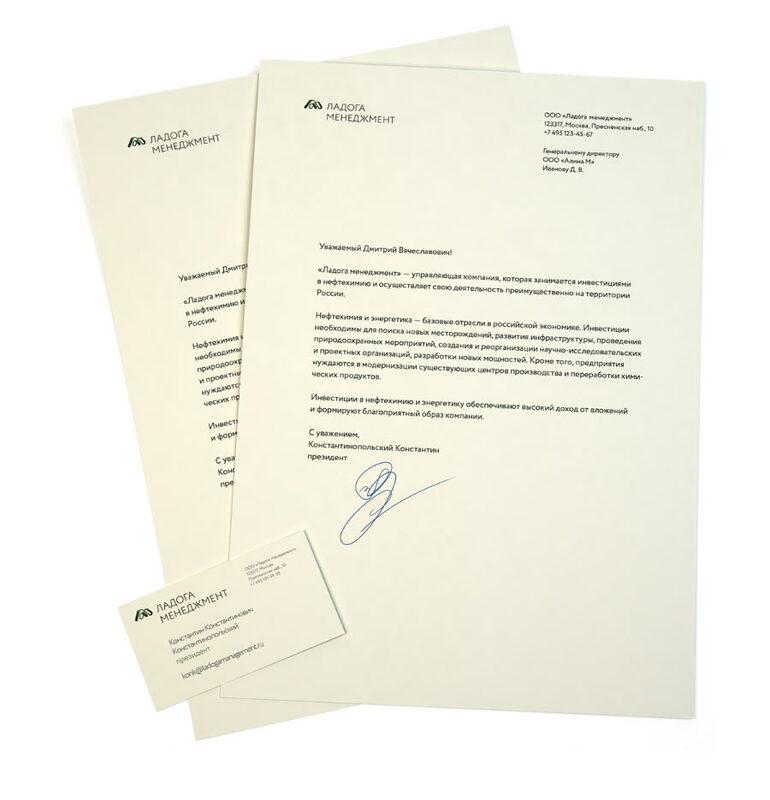 A strict but flexible logo and document templates were created for the company at the studio. The logo with smooth shapes and a gradient color scheme looks great on letters, business cards and corporate envelopes. 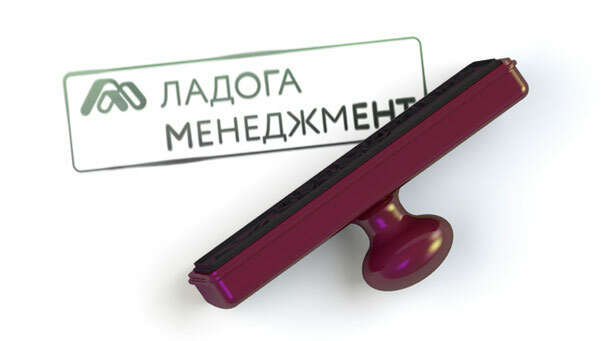 The logo can be easily placed on various media and realized in any material.